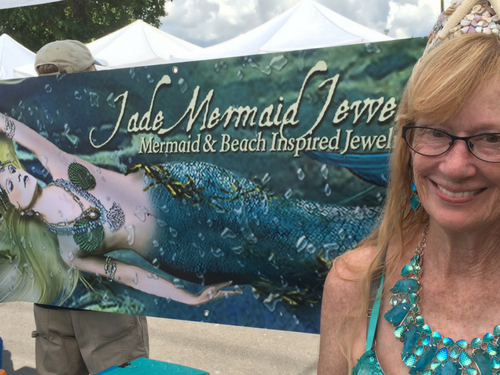 This weekend I attended the SMTX Mermaid Society Parade in San Marcos Texas. It was filled with various types of mermaid costumes and community organizations. To read more about the mission of the Mermaid Society CHECK OUT THIER WEBSITE. The parade lasted about an hour which ended up at the San Marcos Plaza Park where local vendors displayed different types of mermaid jewelry and inspired art. I happened to stumbled upon OutLaw Jewelry and loved his work! Thomas Myers has been custom making jewelry for about a year and a half and is currently located in San Marcos Texas. In the Little Mermaid, Arial thinks that a fork is her way to brush her hair after scuttle (the crazy seagull) tells her so. Since then silverware has been a jewelry staple with our mermaid community. Outlaw Jewelry takes sterling silver or silver plated utensils and hand crafts them into beautiful pieces of mermaid jewelry. Check out this beautiful Trident Ring! Outlaw Jewelry flattens and shapes to fit your finger. A great accent piece for any outfit. Who knew you could do that with a spoon! Outlaw Jewelry will also use the base of the sliver ware and custom fit to your size. Below you can see the different types of bases used. These are actually quarters that have been flattened and rounded into a ring. I have never seen this done before! Not so much Mermaid Jewelry but I am a huge fan of Texas! These Dangle pendants are classy and simple. 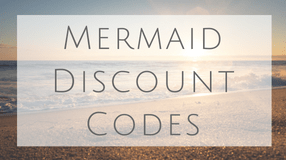 Wear with your mermaid outfit or for a night on the town. Easy to clean and take care of. These are rounded and shaped for a comfortable and stylish bracelet. HOW DO I GET A HOLD OF OUTLAW JEWELRY? I love stumbling on these gems. Hand crafted right in Texas. Reach out to him for pricing!